Touchbook. The Iconia is the Ferrari in Acer's tablet campaign. We see it rather more as a tank. Weight and size are far from any kind of portable lightness. Nevertheless, the control concept of the foldable tablet works. Acer's inventive Iconia laptop falls into that exclusive category we sometimes call executive laptops. Unlike a lot of other unique proof-of-concept laptops, the Acer Iconia is fun to use and largely works as advertised. But it has a hard time answering the most frequent question we hear about it: why would anyone need a dual-touch-screen laptop? The Acer Iconia is definitely on trend with tons of social and sharing features built directly into the interface, along with touchscreen capabilities, which makes dragging, dropping, and sharing simple. That said, a touchscreen laptop does pose a certain number of problems when it comes to normal day-to-day procedures. Aside from the coolness of Facebooking on one screen while watching a movie, if you instead decide to type something up, there is a certain learning curve required to master the virtual touchscreen keyboard. The longer the document, the more errors you may make as you begin to rest your hands on letters rather than traditional keyboard space. Acer is positioning the Iconia as a lifestyle product, with more 10, 7 and 5-inch versions and potentially (although Acer couldn’t confirm this) on other operating systems. At the moment it’s quite hard to see who would buy the Iconia in this incarnation. While we like the Acer Ring interface, at £1400 it’s very expensive and we’re not convinced it adds enough to what is basically a Windows 7 laptop to justify the cost. Our time with the Iconia was brief, but we’ll bring you a full review as soon as possible. Impressive though the Iconia is, though, we're still struggling to think quite what use it has. It's not often that you come across a device that offers not one, but two bigger-than-iPad touchscreens, and is capable of running a full-fledged Windows 7 OS and robust productivity applications. Although its touch precision is nowhere near any iOS device, the ICONIA's multitasking ability still gives it an advantage. The dual screens and the Acer Ring application lend the notebook an oomph factor that makes the iPad and other Android tablets look boring. The current issues with the touch interface can be expected to fade away with the arrival of Windows 8. Having said that, the device has its limitations and lacks basics such as an inbuilt card reader. The battery is a downer, and people may not want to spend Rs 70,000 on this device. Long story short, the ICONIA-484G64ns will not replace traditional notebooks any time soon, but makes for a good alternative to the fancy MacBook seen on the CEO's desk. 50% Acer Iconia: un notebook tutto da toccare! Acer’s Iconia 6120 is one of the pioneers that’s here to show how PCs are to be used in the visible future. It’s up to the users to decide whether they’ll reach for the future immediately, or wait for a couple more years. Acer would have been much better off equipping the Iconia with a standard physical keyboard and replacing only the touchpad with a fairly high-resolution 4-inch touchscreen. It's good to see Acer trying some aggressive designs, especially ones as aesthetically pleasing as the Iconia's, but as a practical matter it just doesn't make sense to replace the lower deck of a Windows laptop with a touchscreen. But for the rest of the world that depends on a keyboard for lots of typing on the road, the Iconia is a harder sell. The on-screen keyboard is very well done, but there’s no way it can compete with a hardware keyboard. And the 6120’s odd lack of Bluetooth mean you can’t even bring a portable folding Bluetooth keyboard with you on the road (unless you get a USB Bluetooth dongle too). Lastly, though some of you think the stylus is so last decade, active digitizers still sell a healthy number of Windows tablets because artists, note-takers, science types who use equations and vertical market workers rely on the pen. The Iconia could have had that market if they’d only included an active digitizer in the upper display. No category of computing is bigger and bolder here in early 2011 than touch-interface tablet computers. Some very big players—RIM, Motorola, Hewlett-Packard, Samsung, and others—are all trying to gain a foothold against Apple’s field-leading iPads. This device's dual 14-inch LCDs make for an unusual hybrid of notebook and tablet, but its design and battery life simply demand too many compromises. The Acer Iconia 6120 A laptop with dual-screen laptop is as is a unique and innovative take on multitasking, but the virtual keyboard and Acer's touch software pack aren't ready for prime time. A real bargain. Acer launched a real bargain at CES 2013 in Las Vegas. The manufacturer promised the visitors a 7-inch tablet featuring decent performance and a high-quality build. And this for a mere 120 Euros (~$160). 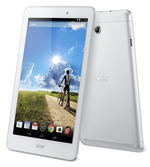 Acer is trying to steal the march on the first wave of cheap tablets coming to the market. The price tag on the Acer Iconia Tab B1 is Rs 7999, which makes it a little too high-priced for what it has to offer. Other than a decent audio player that will require a further investment upward of Rs 650, the tablet is quite minimal in the features department. There are other devices in the range that have similar features with slighter higher specifications that are also cheaper, although they might not be made by an international brand like Acer. But as is, the B1 isn’t the best choice for this budget. Positive: Low price; compact and light. Negative: Quality of the screen. Performance; attractive price; outstanding display; good autonomy; high quality finish. Pocket-Windows. Acer offers a small tablet (8.1-inch) with standard Windows (no RT version) for 329 Euros (~$433) and Microsoft Office 2013 (Home and Student) as a free addition. Our review will reveal whether the Iconia W3-810 is a universal and compact companion or Acer had to make drastic cuts for this price. All told, the Acer Iconia W3 does have the unique distinction of being the first 8-inch Windows 8 tablet to market, but if you've looked at other Windows tablets, the small size might not be enough. The poor display, mixed performance scores, and less-than-satisfying accessory keyboard are a tough sell, even with the tablet's excellent battery life, small form-factor, and low price. If you must have Windows 8 and can't go larger than 8inches, then the Acer Iconia W3 is worth considering, since it's the only one out there. If you can be flexible on size, you might consider the Windows-8-equipped Lenovo IdeaTab Lynx or the HP Envy X2, but if you can accept the limitations of Windows RT, the Editors' Choice Dell XPS 10 is still our top pick. 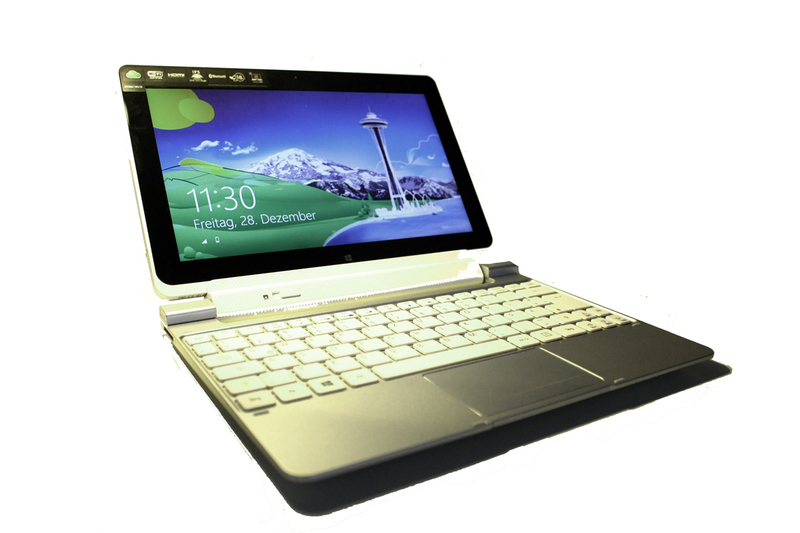 The Acer Iconia B1-721 is a budget 7 inch device with decent functionality. The gray casing gives off a nice elegant vibe while the ribbed backside makes the phone feel good in your hands. Sadly, the phone does feel a bit weak as it can be bent easily and makes creaking noises when twisted too much. Nonetheless, unless the intention is to break the device, it should not give in under normal usage. 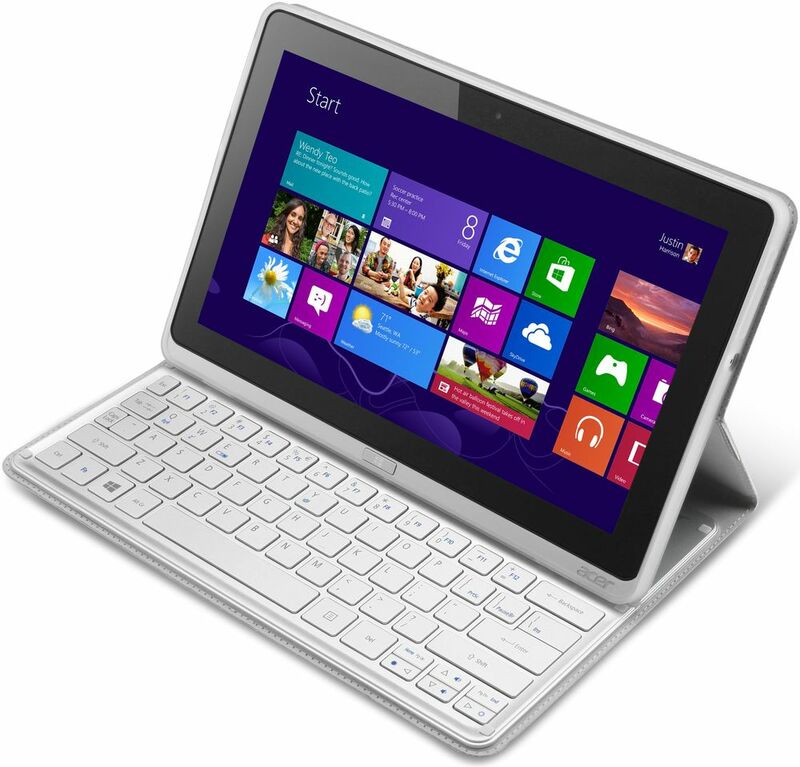 The Acer Iconia B1-721 is powered by a MediaTek MT8312 dual core processor with a frequency of 1.3 GHz. Along with 1 GB of RAM, users will be able to browse the internet, play games and keep update on social media without many lags. It comes with 16 GB of native memory and has the option to upgrade with a micro SD card. The 7 inch display has a low resolution of only 1024 by 600 pixels. However, for a budget device, one shouldn't be expecting a high resolution display. Still, the display is good enough for reading moderately sized text. All in all, the Acer Iconia B1-721 offers a cheap price tag to own a 7 inch tablet with good functionalities as well. It won't be able to match up with other flagship models, but will give casual users a good run for their money. Icon or illusion? The 7-inch Iconia B1-721 is Acer's new contribution to the tablet market's 200 Euros (~$275) price class. Its driving force is a 1.3 GHz MediaTek MT8312 alongside an integrated Mali MP400 graphics chip. 1 GB of DDR3 RAM, 16 GB of flash storage and 3G wireless complete the package. But the display only offers 1024x600 pixels. Is that still enough for the tablet to hold its own in the entry-level class? Positive: Good price. Negative: Low resolution display; feeble case; relatively low performance. Positive: High brightness display; good speakers. Negative: Poor viewing angles and low resolution of the display; weak processor; poor microphone. Talking icon. Acer's Iconia Talk S is a 7-inch tablet/phablet that is capable of making phone calls. Its dual-SIM function and LTE module ensure a good connection on-the-go. An energy-efficient quad-core Snapdragon SoC, a bright HD-IPS display, and Android 4.4 complete the package. Acer enters the battle for buyers at a recommended retail price of 229 Euros (~$245). ARM Mali-400 MP: OpenGL ES 2.0 graphics card for ARM SoCs that is scaleable from one to four fragment processors and has got one vertex processor. Mainly used in conjunction with ARM A9 cores in tablets and smartphones.Qualcomm Adreno 306: Integrated mid-range graphics card in the Snapdragon 410 SoCs that supports OpenGL ES 3.0 and features unified shaders.Non demanding games should be playable with these graphics cards. 480M: The Core i5-480M has only 3 MB L3 Cache (compared to the I7-620M) and clocks between 2.66-2.9 GHz (Turbo Mode). Thanks to Hyperthreading, 4 threads can be processed simultaneously. An integrated graphics card (GMA HD) and a DDR3 memory controller are also included in the package.3337U: Ivy-Bridge-based ULV-CPU in Q1 2013. Offers a core clock of 1.8 - 2.7 GHz and an HD 4000 GPU (350 - 1100 MHz). The TDP is rated at 17 W.Intel Atom: The Intel Atom series is a 64-Bit (not every model supports 64bit) microprocessor for cheap and small notebooks (so called netbooks), MIDs, or UMPCs. The speciality of the new architecture is the "in order" execution (instead of the usual and faster "out of order" execution). Therefore, the transistor count of the Atom series is much lower and, thus, cheaper to produce. Furthermore, the power consumption is very low. The performance per Megahertz is therfore worse than the old Pentium 3M (1,2 GHz on par with a 1.6 GHz Atom). Entry-level SoC based on the MT6577 with a slightly faster 1.2 GHz CPU. 71.79%: This rating is bad. Most notebooks are better rated. This is not a recommendation for purchase.» Further information can be found in our Notebook Purchase Guide.